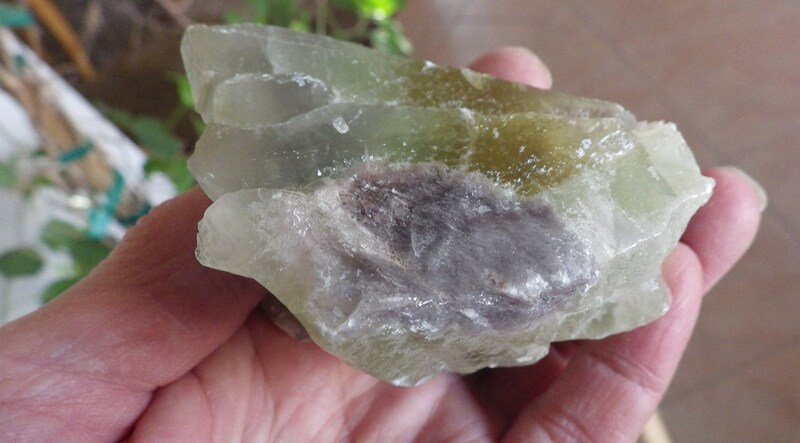 This pale green calcite cluster has many dimensions of color, from pale green to deep yellow to lavender. 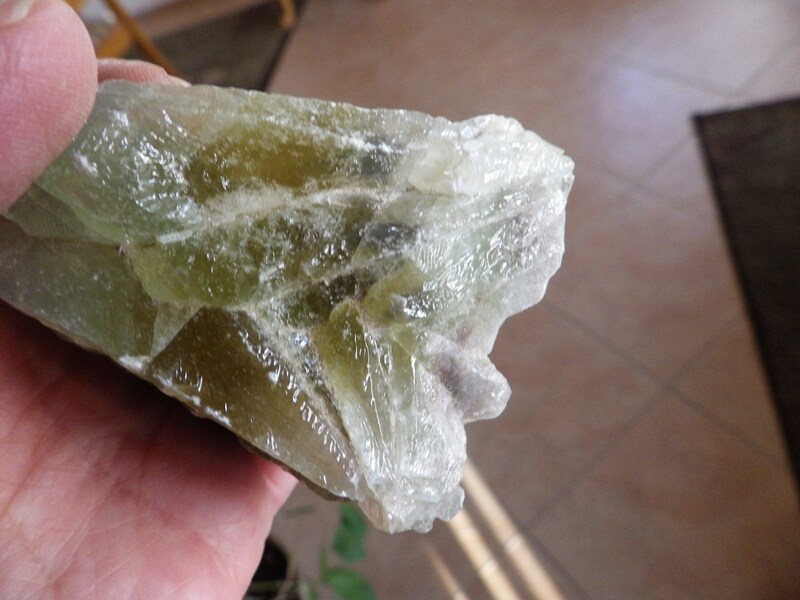 Green Calcite is helpful for reaching mental balance. 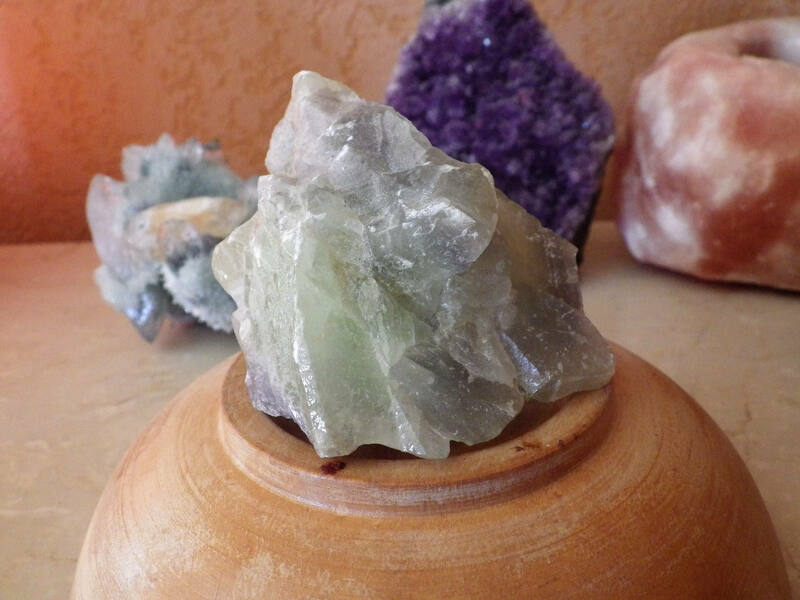 Green Calcite helps to dissolve old energy patterns and beliefs that may be holding you back. 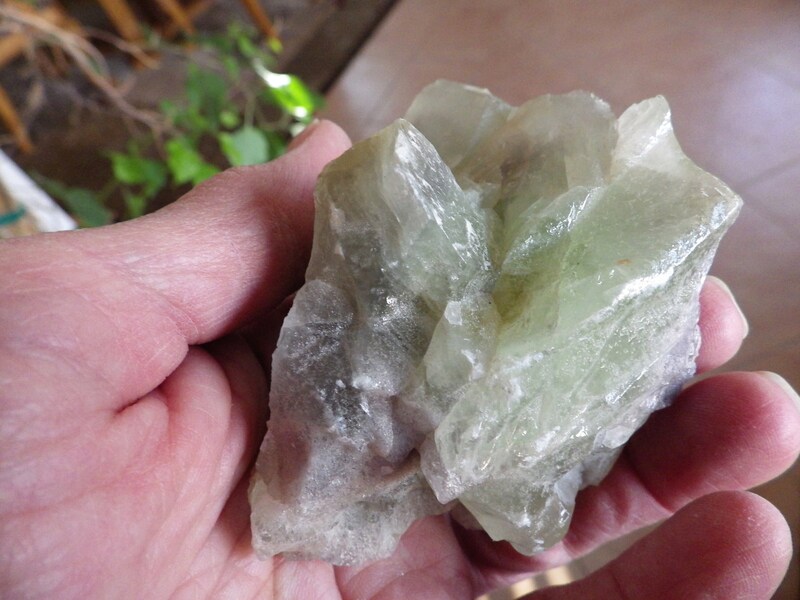 Green Calcite assists during times of mental change or big transitions. Use Green Calcite to help release the comfortable, old programs that you may be holding on to but which no longer serve you. 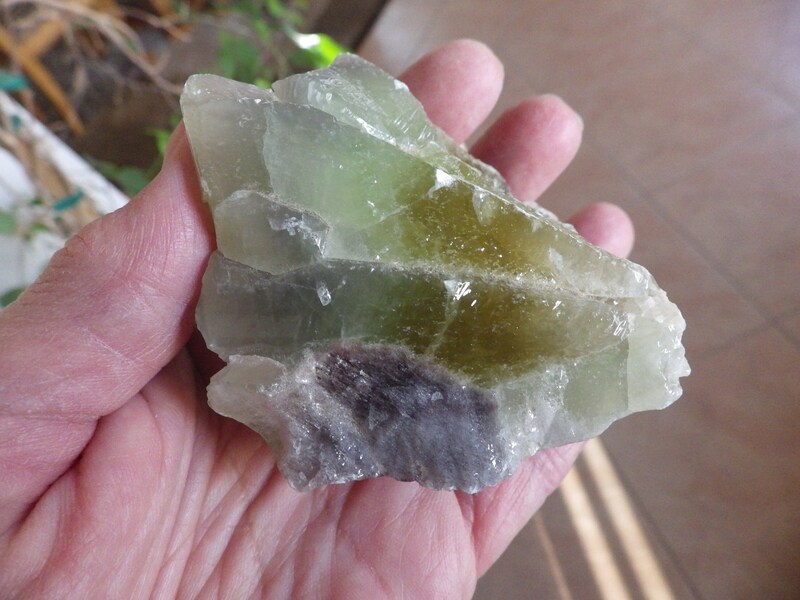 A peaceful stone, Green Calcite can help one to look at situations differently, with the knowledge that, whether good or bad, "This too, shall pass". Green Calcite will also bring in the energy of trust, allowing that what has been manifested will be received. 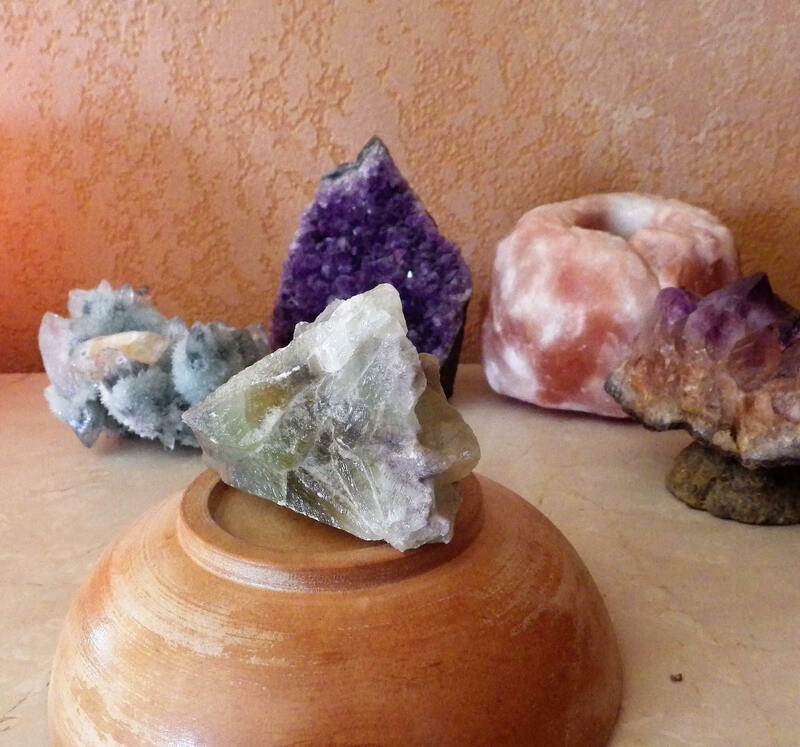 It is a wonderful stone to utilize for those who raise and tend to gardens, plants, and herbs.